Aside from maintaining this siege and engaging in direct military attacks on Gaza, the Israeli army’s primary ongoing task is to enforce the Occupation of the Palestinian land and people. Israeli arms companies benefit enormously from European Union expenditure. With a total budget of nearly €80 billion, Horizon 2020, the new EU research and innovation programme, is one of the world’s largest research and innovation programmes. Israel is associated to Horizon 2020 allowing Israeli entities to participate in the programme. Already during the previous funding cycle (FP7), Israeli entities participated in over 1500 projects. On February 9th 2015, the Israeli R&D Directorate for the European Research Area (ISERD) published a document announcing that the EU had already approved 205 projects with Israeli participation with a total value of €452,3m1 within the Horizon 2020 research cycle. Participating companies include Elbit, Israel Aerospace Industries, Technion, deeply implicated in the occupation of Palestine and Israeli military industry. Elbit is a partner in EU Flysec projects funded by the European taxpayer’s money totalling 4 141 375 EUR. Palestinian and European civil society has mounted sustained campaigning efforts to pressure the EU not to use taxpayers’ money to finance Israeli occupation, apartheid and colonialism through its funding cycles. ELBIT SYSTEMS LTD is one of the most iconic accomplices of Israeli violations of international law and a notorious war profiteer2. Just after the military aggression on Gaza in July/August 2014, Elbit’s shares rose 6.6%. Elbit is deeply complicit in Israeli military aggressions against the Palestinian people and one of the world’s most important promoters of the use of drones in war and population control and directly involved in the construction of the Wall and the settlements, including their surveillance. For various reasons relating to Elbit’s violations of international law, various pension funds and financial institutions within the European Union have already divested from the company3 and the UN Special rapporteur on the Occupied Palestinian Territories in 2012 has called for the company to be boycotted4. Elbit has so far received an EU contribution of €403,750 for its participation in the FLYSEC project, which on the technical side, integrates new technologies on video surveillance, intelligent remote image processing and biometrics combined with big data analysis, open-source intelligence and crowdsourcing5. Such dual-use technology is widely used in military applications such as security and surveillance systems. ISRAEL AEROSPACE INDUSTRIES (IAI) provides equipment used in Israel’s illegal Wall and supplied drones to Israel that were used in attacks against civilians during the 2008-09 attack on Gaza. IAI’s Heron UAV systems (drones) were used in the attacks on civilians condemned by Human Rights Watch as being in violation of international law6. IAIs subsidiary also provides surveillance systems for the Wall7. IAI is currently involved in Horizon 2020 projects through which the company received grants of over €2 million8. TECHNION – ISRAEL INSTITUTE OF TECHNOLOGY is coming under increasing scrutiny from academics concerned with its involvement in and collaboration with the Israeli military and Israeli arms companies. The institute conducts a wide variety of research into technology and weapons used to oppress and attack Palestinians. For example, Technion researchers have developed special unmanned vehicles that aid the Israeli army in carrying out demolitions of Palestinian houses. By knowingly developing technology used in house demolitions, Technion is actively and directly complicit in the violations of international law. The institute also provides special tailored courses and programs for military officials and Israeli arms company executives Technion has a history of deep collaboration with Elbit Systems, including receiving research grants and opening a joint research centre. Through Horizon 2020, Technion is participating in over 30 projects and receives over €17 million of EU taxpayers money. By allowing Israeli actors that perpetrate or are complicit accomplices to unlawful acts and impediments to Palestinian self-determination to participate in research projects that it funds and administers, including projects that are developing technology that may be used in future unlawful acts, the EU lends legitimacy to Israeli violations of international law and renders assistance to the maintenance of these unlawful acts in a way that calls into question whether the European Union and member states are in violation of their own obligations under international law. 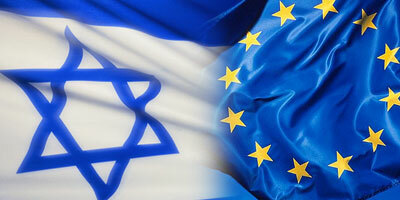 Funding for Israeli military and homeland security companies, such as Elbit Systems, will not only run counter to the growing call for a military embargo on Israel but violate the EU Commission’s commitment against dual use funding. According to the EU Commission: “In accordance with rules drawn up by the Council of the European Union, the European Parliament and the European Commission, funding for projects under Horizon 2020 can only be drawn down for research that will be applied for civilian purposes only9. Elbit’s research and technology – as showcased by the LGI technology – is inevitably liable to be used to perpetrate violations of international law by the Israeli military, as well as technology manufactured by IAI and Technion. We call on the European civil society, members of the European and national parliaments and governmental representatives to lobby and pressure the relevant EU institutions to exclude Elbit Systems and any other Israeli entity involved in the state’s military-industrial-scientific complex (including their subsidiaries) from EU financial mechanisms and cooperation.